IMMACULATE Home on premium interior lot with a modern decor. WOW!! The popular Blondie floor plan with numerous recent updates. An ENTERTAINER'S delight! This is the model-like home you've dreamed of. 2 bedroom home with Office/Den. Open concept with Kitchen flowing into Dining Room and Great Room, which flows into outdoor living space. 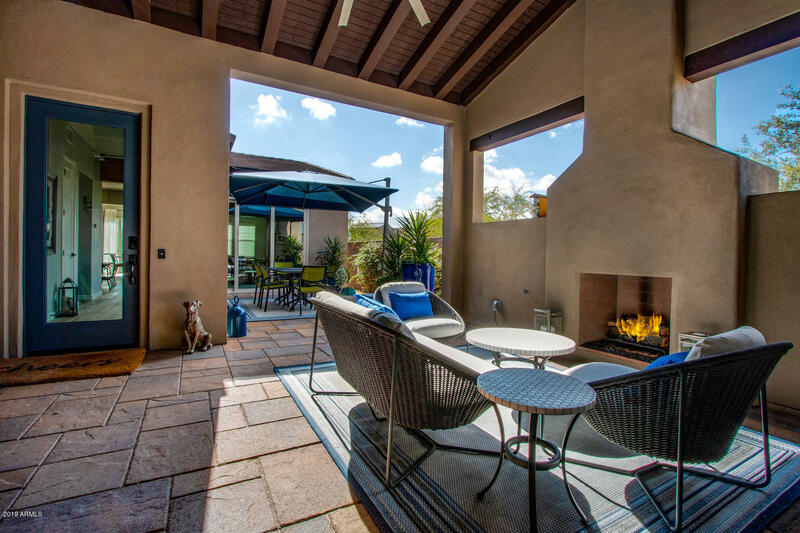 Home features 2 large 3-panel glass sliding doors that open to a 300 sq ft OUTDOOR Living Space with gas fireplace. New tile flooring throughout, new subway tile back splash, new light fixtures, new hardware in Kitchen & Baths, new surround sound speakers, new patio speakers in courtyard and new backyard landscaping with a large patio. No home adjacent to this house on the west or south sides.